This is the medium-weight jacket you’re looking for. Official Star WarsTM licensed logo on the back of a soft jersey jacket with sleeves. Load the handy poop bag dispenser with supplies, snap the pocket, and you are ready to go. Elasticized ribbing on the cuffs and hem helps the jacket move as your dog moves. Make sure to check out our other Star WarsTM merchandise for your dog, including the irresistible BB8 Squeaky Dog Toy. Care: Gentle wash in cold water; tumble dry low or air dry. Waterproof fabric with SiverShield treatement. Practical Leash / Harness hole. 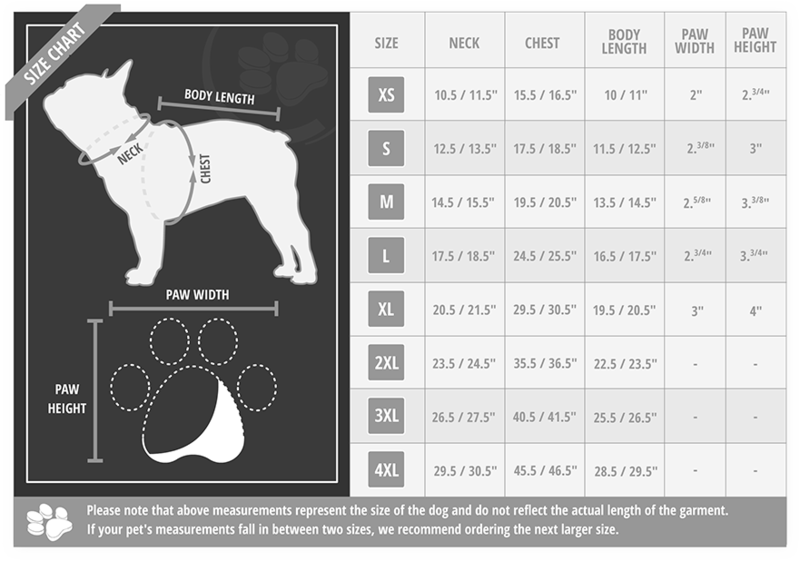 Available in XS – S – M – L - see sizing chart. Bungee cord with toggle for a perfect fit. Our products are proudly designed in Montreal, Canada.